My 2 year old son has learned the joys of opening the front door as wide as he can when he gets home. In the course of this learning experience he has demolished the cheap coat rack that I bought at Wal Mart about 10 years ago. It has been on a steady decline for the last year and he finally just finished it off. 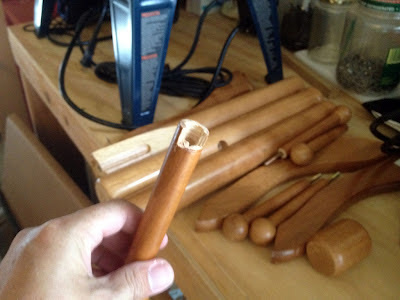 As a consequence of this my wife challenged me to make a coat rack in 2 weeks to replace it. She invisioned a board with some dowels sticking out of it screwed to the wall. Where is the challenge in that? I did some looking around at some other projects on www.Lumberjocks.com and decided to make a Hall Tree. It is going to be 5′ high by 2′ wide and 9″ deep. 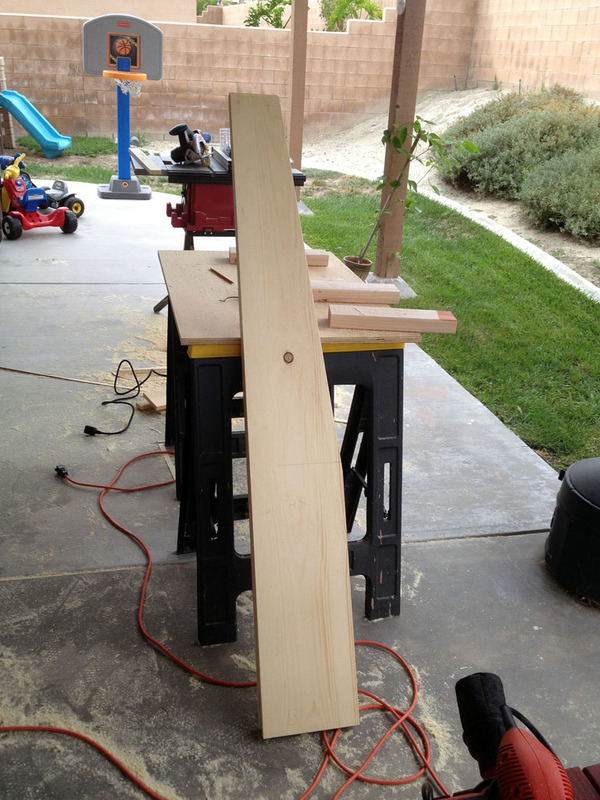 It will have a shelf on top with a 2″back and a 5″ stretcher underneath for hooks to attach to. 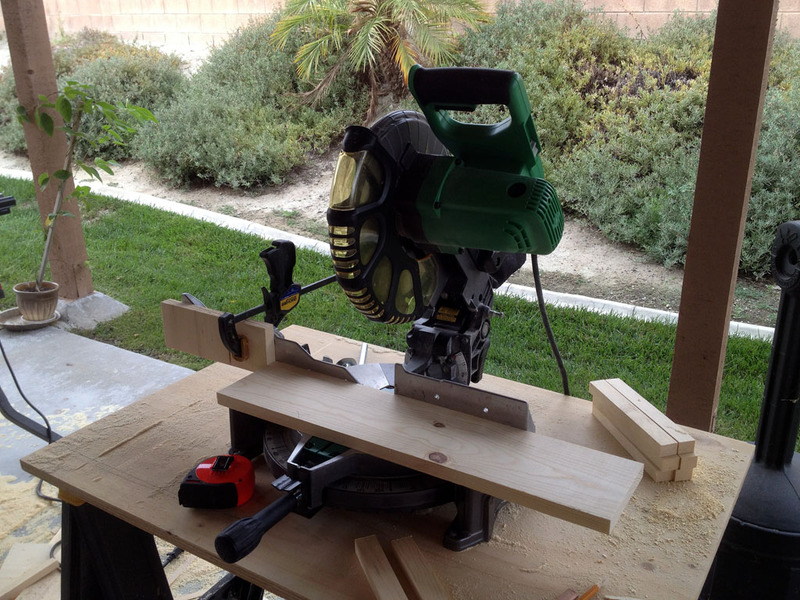 The seat will be about 13″ high with 2 shelves divided into 5 cubbys for shoe storage. I also plan on putting hooks on the sides. 1 at the top of each side and 1 down lower for backpack storage. 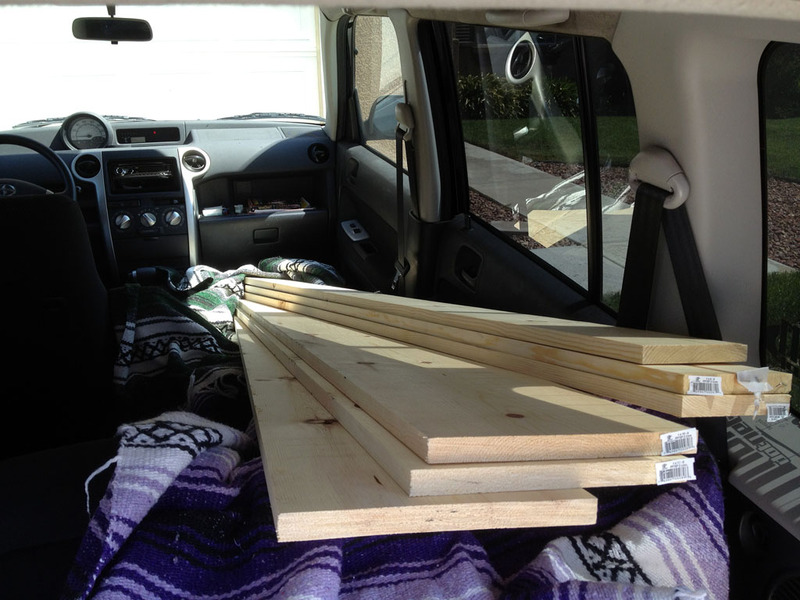 I went to Home Depot and bought 3 – 1x10x6 and 3 – 1x6x10 common boards. I think they are knotty pine. 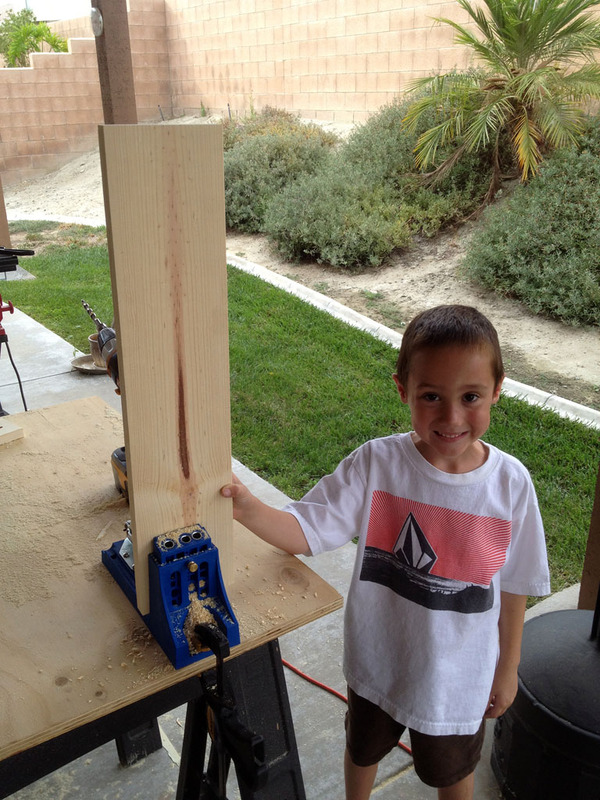 I also bought a $5 bottle of wood glue and a $.61 dowel for my son and the total came out to $44.40. Initially I was thinking that I would make it out of all 1×6’s but with the 2 week deadline I opted for the more expensive 1×10’s. The 1×10’s were 9.25″ wide which messed me up a little because I was expecting them to be 9.5″. I ripped them to 9″ wide and 5′ long. 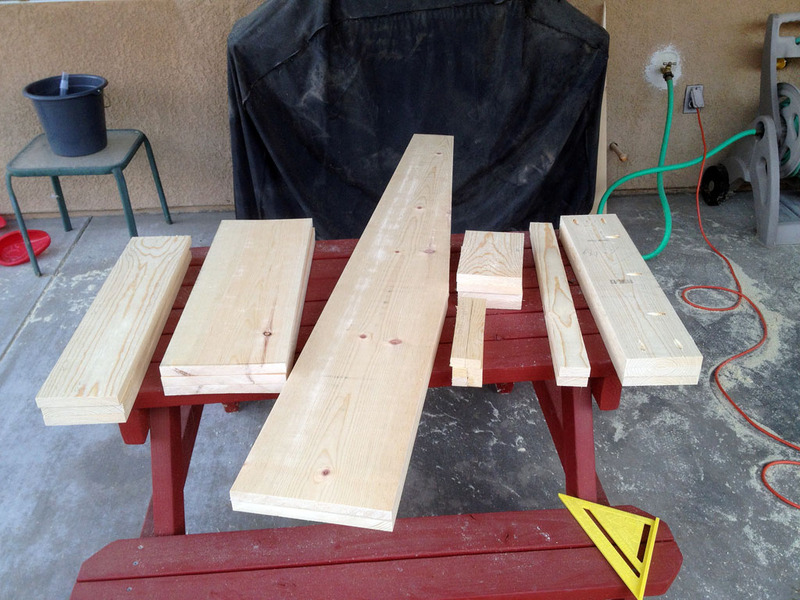 I ripped the 1×6’s down to 5″ and then used the miter saw to cut them down to 22.5″ wide. 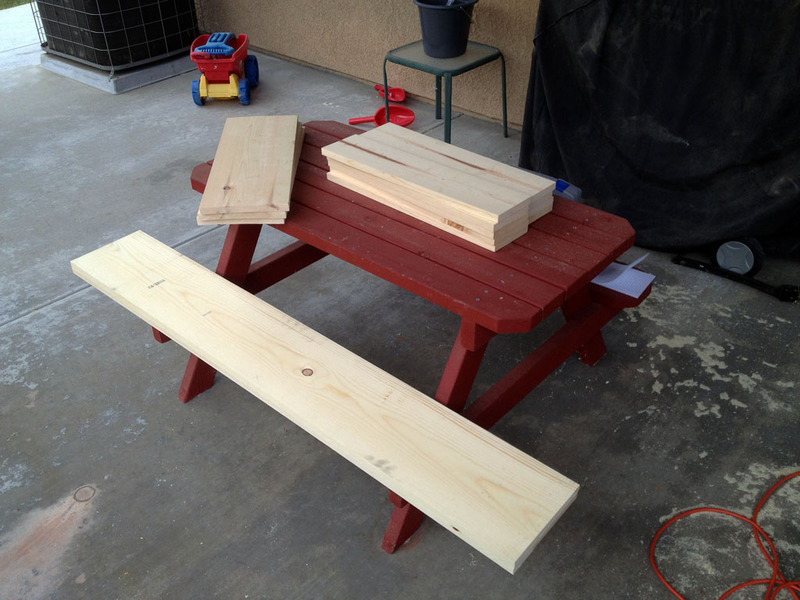 I also cut one of the 1×10’s into 3 – 9×22.5 boards for the seat and cubbys. 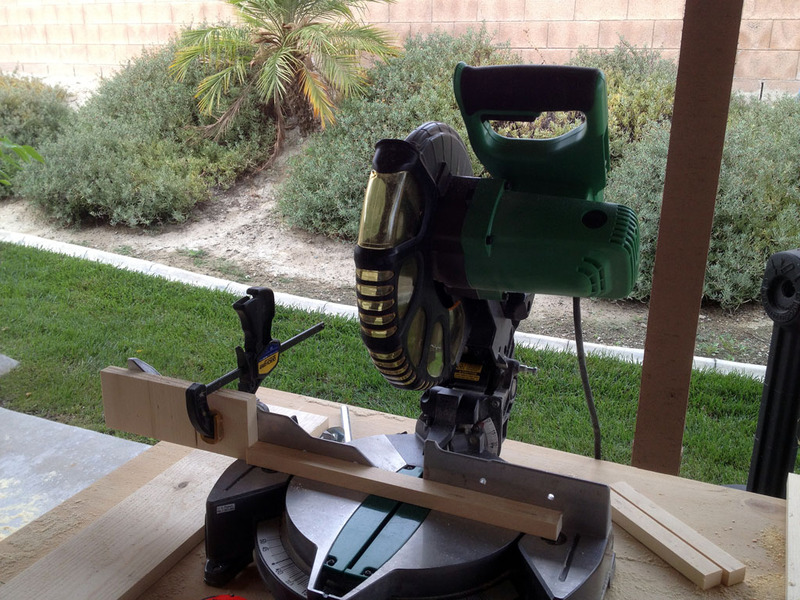 I opted to just cut an angle for the sides to slope up. My jigsaw is not working very well right now and I am not that good with it when it is working correctly so the 2 equal really crappy cuts. 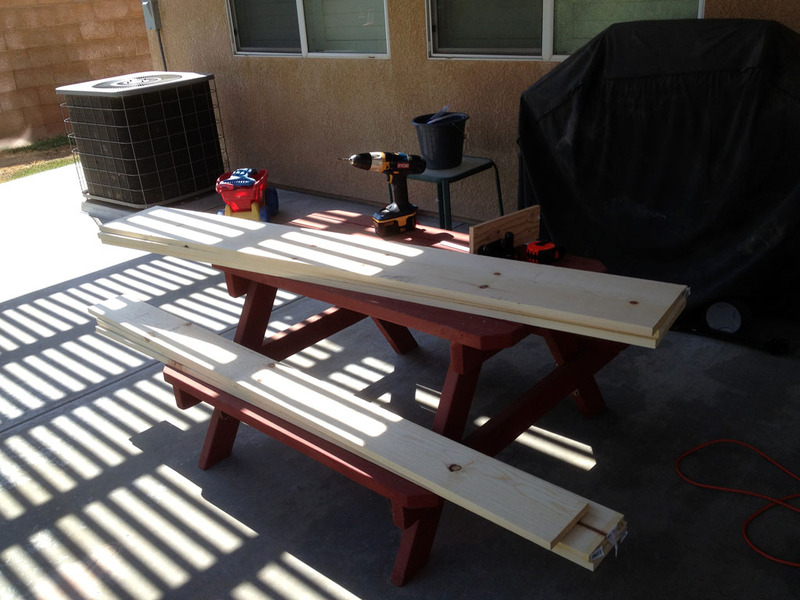 I will be attaching everything using pocket holes, glue, and my nail gun. The seat and cubbys will also have some extra supports glued and tacked underneath just to play it safe. Cubby dividers same length as supports and 5″ tall. These will be glued and tacked into place.